If you've been to the grocery store lately, you may have noticed a change in the egg section: higher prices. Depending on where you live in the United States, the increases may have been pretty drastic. So what's going on? If you follow our blog, you may remember that earlier this year I predicted that 2015 would be the biggest year yet for hens here in America. 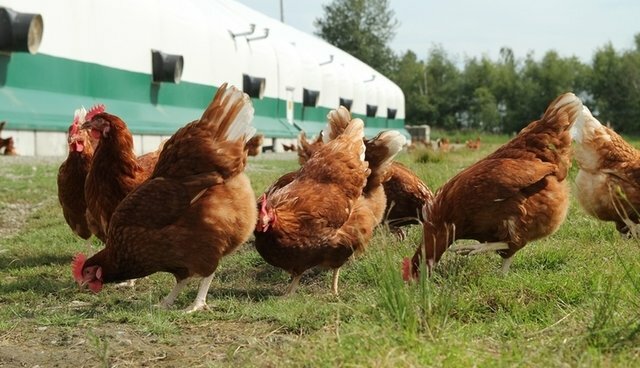 Not only have businesses like Starbucks and Panera Bread increased the number of cage-free eggs in their supply chains, but as of January 1, all eggs produced and sold in the state of California are required to come from hens that have enough space to lay down, stand up, turn around, and spread their wings. While this is undoubtedly a big win for hens, it has meant that egg prices have increased in some states. Some media stories have portrayed this change as an attack on consumers; pitting you, the shopper, against the welfare of hens. Headlines have underscored the "skyrocketing" prices and have pushed back on the need for change (luckily, we know better!). If you believe what you read in the headlines, though, you might be worried that the cost of eggs will prohibit you from making your family's favorite quiche for brunch. I'm here to tell you that your quiche is going to be just fine! Here's the deal. As with any commodity, it's about basic supply and demand. No need to be an economist to understand that with the recent changes in California, there aren't enough cage-free eggs being produced to meet the demand for them. As more farms transition their systems to meet the new requirements and we work together get more businesses to go 100 percent cage-free, then prices will shift again. It's really important to point out, however, that some businesses and farms are interpreting the new California laws in a way that would keep hens in cages. By installing slightly larger cages or keeping fewer hens in their current battery cages, they argue that hens will have enough space to turn around and flap their wings. While larger cages would offer some improvement over the standard space hens currently have, don't be fooled into thinking that this is enough or as good as hens being cage-free. That's just not the case. A hen's natural behavior includes traits like dust bathing and perching, even flying. How can a hen fly in a cage? If you're asking yourself what you can do, I have an answer for you. The best thing you can do is to keep buying cage-free eggs. It might seem counterintuitive, but by continuing to purchase them, you're saying to farmers and businesses that change for hens is important to you. You're also making the important distinction that a larger cage is not enough and that you demand more for hens. Don't forget to download our Egg Buying Guide and share it with your friends and family to make sure they know what label to look for to support cage-free production. A few more cents for eggs now will mean more changes for hens in the future. This post originally appeared on World Animal Protection's Choose Cage-Free blog.